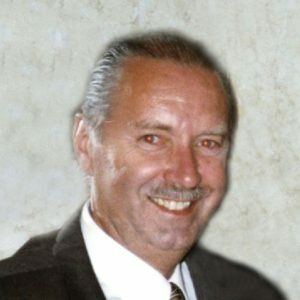 Paul Richard Lalime, 72, of Nashua, NH died April 5, 2019 at Hope Hospice in Ft. Myers, FL. He was married to Jane (McEnaney) Lalime with whom he would have celebrated their 50 wedding anniversary on July 12, 2019. Born in Lowell on April 13, 1946 the son of the late Robert and Lucienne (Painchaud) Lalime, he was a graduate of Dracut High School with the class of 1964. He attended Lowell Technical Institute. Paul served with the US Air Force Reserves in Bedford, MA. He retired from 3M of Chelmsford in 2003. He wintered in Ft. Myers Beach FL. Paul enjoyed boating, downhill skiing, and water skiing. Besides his wife, he is survived by his niece Caitlin Dowling; his nephews, Stephen, Ryan and Mark Taylor, Michael and John Barry, Grant McEnaney, Robert and Shaun Lalime; a brother Robert Lalime of Nashua, NH; brother in law Walter McEnaney and his wife Gloria Grant of Chelmsford; sisters in law Mary Taylor of Naples, FL, and Nancy Barry and her husband Michael of Dunstable; many aunts, uncles, and cousins. He was the brother in law of the late John McEnaney. No Visiting hours. Funeral Saturday April 27, 2019 at 8am from the DOLAN FUNERAL HOME 106 Middlesex St. Chelmsford, MA followed by a Funeral Mass at 9am at St. John the Evangelist Church, 115 MIDDLESEX ST. CHELMSFORD. Burial in St. Patrick Cemetery, Lowell. Memorials may be made in his name to the St. Jude Children’s Research Hospital 501 St. Jude Place, Memphis TN 38105. ARRANGEMENTS BY DOLAN FUNERAL HOME 978-256-4040.